You know, if you homeschool and have been having a set schedule that has been working for years, I give you so much credit. Our homeschool life just hasn't worked like that so far. And we've been doing it for about 13 years. Every time I get a schedule planned out and think it's working great, it falls apart. So I'm not here to say that this is our new permanent schedule. 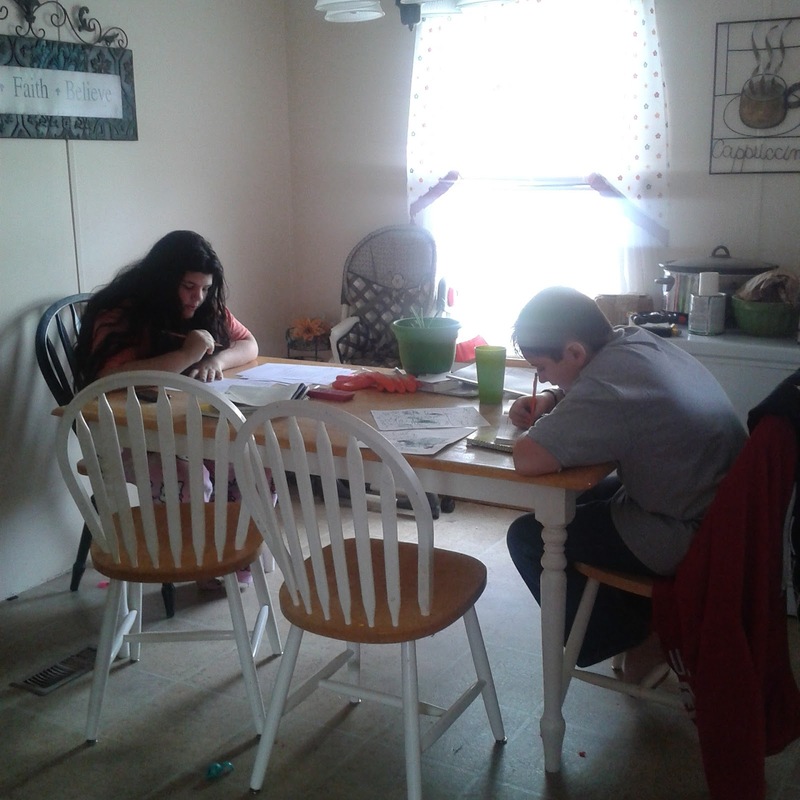 But what it is, is a schedule that is working for our homeschooling family for right now. As it is now, we are done with the older kids' classes AND the majority of chores by 2:30 pm! Alarm goes off. Wake up, get dressed, brush hair, make bed, get breakfast ready and books for your first class of the day. If they have any classes that they are struggling in or need to study for a test/quiz, we will work on that together after classes end. Also, if there is a major assignment that they didn't finish during class, they do that in the evening after classes and some free time. Before, we were struggling with trying to do every single assignment that was in the lesson plan books that Abeka gave me. It was killing us because we just couldn't seem to find enough hours in the day to get it all done AND sit down together and work on any problem areas AND study for quizzes and tests. Some nights, they were "doing school" until 10 pm and then having to get up early the next morning to finish. That is, in my opinion, RIDICULOUS. No child should be doing that. If you're able to get it all done, that's awesome! We just couldn't. So we found what works best for us. And I thought I would share it with you all. And maybe it will help another strugglin' mama realize that it's okay to find something that works for her and her family...even if it goes a little different than what the books are saying you should do. PS...I may be making some adjustments/changes to their curriculum coming up soon. I haven't decided if I am going to do it this year or next, considering I paid for this year's current curriculum (Abeka) already.... So I might just wait until next year. We'll see!